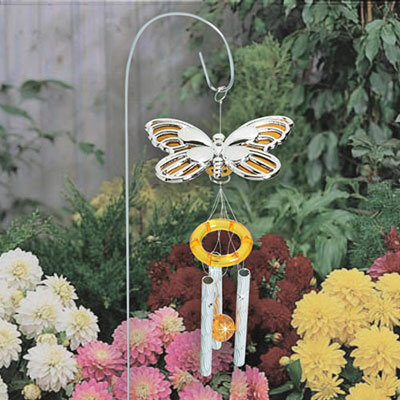 A pretty silver-tone and yellow butterfly charm supports a mini set of chimes, adding a touch of colour and whimsy anywhere! Relief etched Butterfly Plant Chime is held by a metal garden stake, accented with a ring and clapper. 15"h. Chime approx. 6½"h. Hurry! Quantities are limited!